Combine the first 7 ingredients in your mixer. Set aside. Whisk the last 5 ingredients until incorporated in a separate container. With the mixer on low speed, add liquid to the dry ingredients until combined. 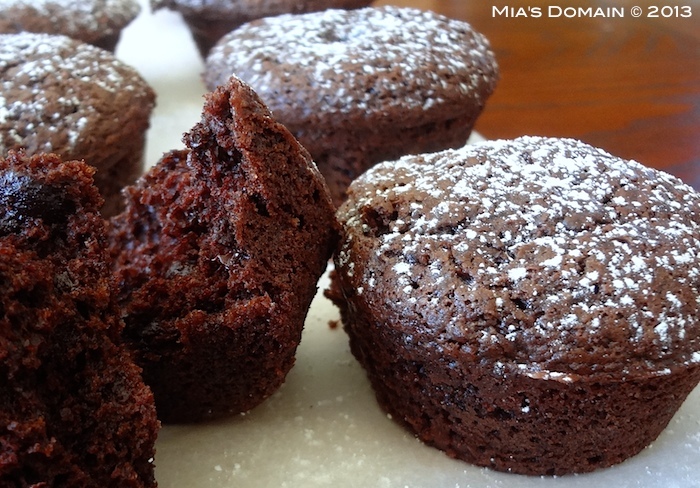 Grease an 18-cup muffin pan and dust with flour. Fill each one 3/4 full and bake for 40 to 50 minutes or until a stick inserted into one of the muffins comes out clean. My son and husband will love these, especially hubby as he is on a gluten free diet. I make my own blends...what combination to you use? Hi Gayle. My blends varies depending on the type of baking I do. This one is almond meal, brown rice flour, and a little tapioca starch.